Steak claim to flavor with juicy Philly Steak. 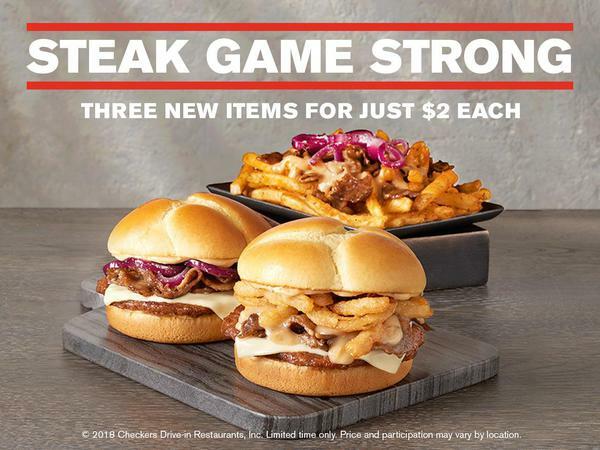 These 3 new steak loaded selections have got it all and then some: the French Onion Steak Burger, the Philly Cheesesteak Burger, and Steak Loaded Fries. Price and participation may vary by location. 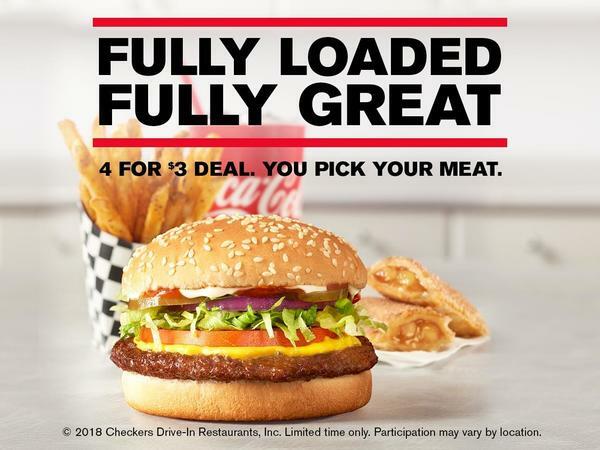 This deal’s out of control, but you get your choice of chicken, beef, or fish. And at 4 for $3 this meal’s comes with a side a drink. It doesn't get better than that. Participation may vary by location. Our new Seasoned Boneless Wings in two delicious flavors: Lemon Pepper and Memphis BBQ. 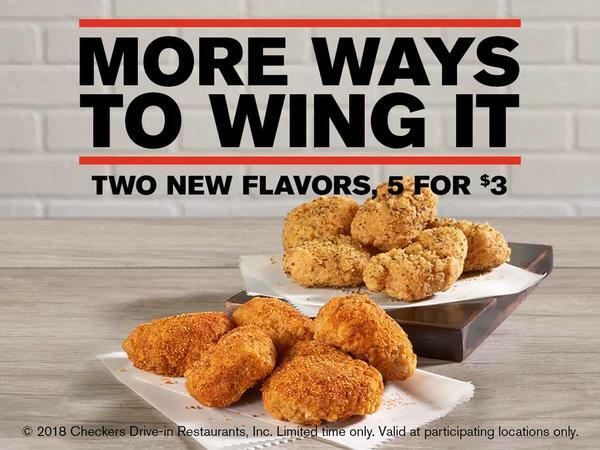 Get 5 juicy all-white meat boneless wings for only $3. It sounds insane, it may be insane, but it tastes sooo right. Rally's was born out of the idea that boring and bland have no place in the burger world. That’s why we’ve been slinging the best burgers, crispiest fries, and the creamiest milkshakes for a price that is hard to beat. And because we believe flavor shouldn’t have a timeline, we’re open late every night of the week. So come see us at Rally's on 1111 Monroe in Portsmouth. © 2018 Rally's Drive-In Restaurants, Inc. Limited time only. Valid at participating locations only.